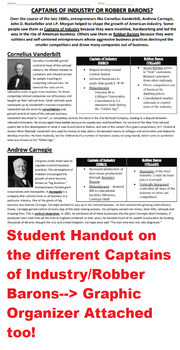 Industrial Revolution- Captain of Industry vs Robber Barons--> FULL LESSON PLAN! This lesson plan includes a PPT, worksheets, handouts, graphic organizers and videos! 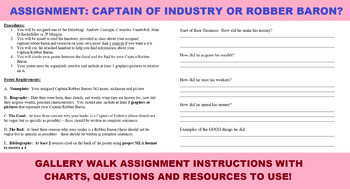 There's a fun gallery walk assignment that students can also complete at the end of the lesson! 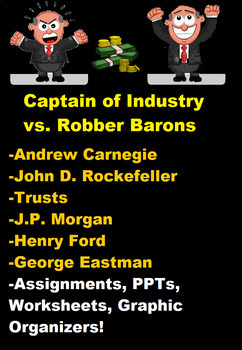 It goes through many of the bosses including Andrew Carnegie, John D. Rockefeller, J.P. Morgan, Henry Ford and George Eastman. There is no prep needed! It's quite comprehensive and easy to understand!